Before you buy any ram check the suitability for your PC, like RAM type DDR2 or DD3, ram frequency and no. 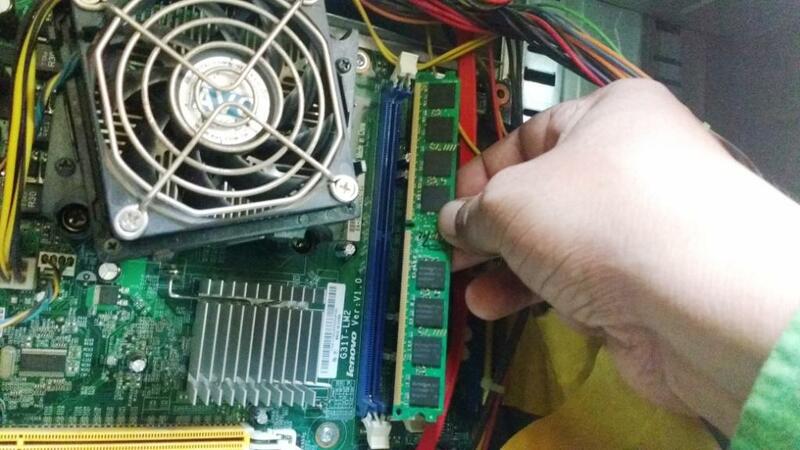 of pins, attaching ram into motherboard slot is easy, let’s see how to install ram into pc motherboard slot. 2. Hold ram by each end and be careful not to bend it, flex it or drop it while handling it. 4. Match the notch ram notch and memory slot and gently press the ram and lock the memory.